After all, many cat litters claim to be natural, organic or ecofriendly, but ONLY World’s Best Cat Litter™ can claim to be made of whole-kernel corn. With a sustainable ingredient grown and milled right in America’s Heartland, our patented formula stands alone in harnessing the power of a grain that is naturally capable of simplifying your litter box experience. How we came to use this crop in our litter is itself a fascinating story. Although corn (or maize) was first domesticated by the natives of Mexico and Central America thousands of years ago, it was only recently that we discovered its power in simplifying life for pet parents. 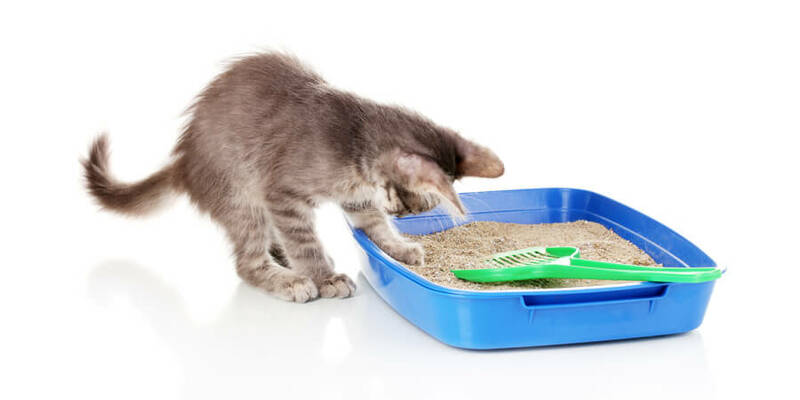 Cat litter only became available to the public in the 1940s, and then only as non-clumping product. Clumping litter was later introduced, but it was made of a clay material that didn’t live up to our standards. So we put our scientists to work to find a new litter ingredient that was tough on odor, easy on the environment and safe for people and pets. That’s when our team discovered a unique process for turning whole-kernel corn into the key ingredient for what would become World’s Best Cat Litter™. Why is whole-kernel corn the natural choice for solving your litter box problem? Our corn granules contain thousands of tiny pores that trap nasty smell. This naturally absorbent structure keeps unpleasant odor and smells inside the litter, rather than wafting around your home. Because whole-kernel corn is naturally absorbent, its granules bond quickly to form compact, easy-to-scoop clumps that trap the liquids and limit the wetness from seeping to the bottom or sticking to the sides of the box. And because it’s so absorbent, the corn ensures a long lasting product that allows you to wastes less litter with each scoop. Unlike other litters whose ingredients are derived from strip-mining (we’re looking at you clay), our litter is made from renewable corn. And because World’s Best Cat Litter™ is made of all-natural ingredients – with no added chemicals – there’s no silica dust for you or your cat to breathe, making it safe for the entire family. We believe so strongly in the positive properties of our corn that we’re willing to stand by any of the above claims, guaranteed or your money back https://www.worldsbestcatlitter.com/guarantee ! We’d love to hear why you love using a litter made of corn!